To paraphrase John Doe from Seven, it's hard to get an audience's attention in the 21st century. What with pregnant women being stabbed at their own weddings on television, how do you snap someone out of their stupor with the big screen, where material of such unbridled violence, salaciousness, and malice wouldn't pass the MPAA unscathed? One way to do so is red herring opening scenes, in which a major star shows up only to vanish very quickly. Did anyone really expect what happened to Gwenyth Paltrow in Contagion? Of course, shock and manipulation aren't the only reasons to stick a big name in the first scene or sequence of your movie. Enterprising directors include cameos from movie stars for a wide variety of reasons. Maybe a persnickety auteur has got to cast this one part just perfectly or else the entire project is shot. Maybe a producer has some connections, can get Bruce Willis for the day, which really appeals to financiers. In some cases, movies with super famous stars in the first scene came out before the actor achieved fame. This tactic, be it a strategy, gimmick, or accident, isn’t limited to big budget cash grabs. Indie films are just as likely to plop down some A-list talent, if only for just a few short moments before diving into whatever story they’re really telling. Regardless of the reasons, one-scene wonders are a thrill for the audience, like finding out you’re working with an old friend your first day at a new job. These cameos can send some electricity surging through a scene, even if they don’t say a word. 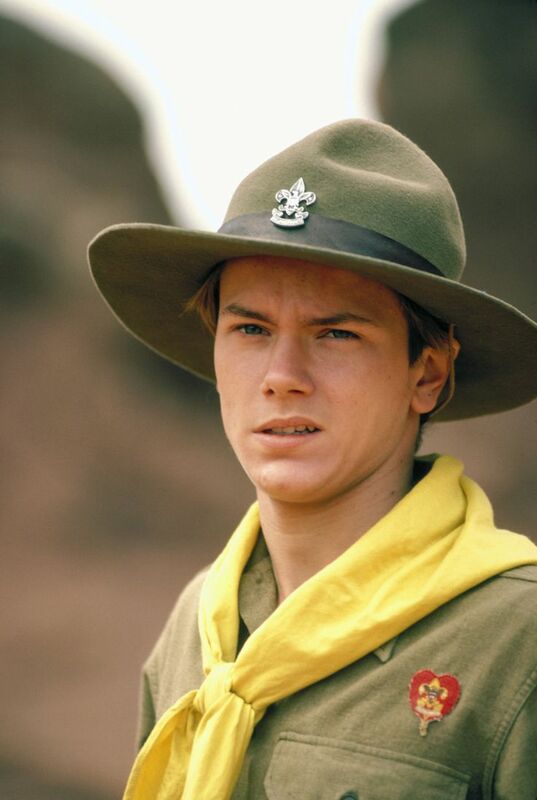 These days, the sad story of River Phoenix has largely been forgotten. In fifty years, he may very well be known only as the kid who played young Indiana Jones in the opening set piece of The Last Crusade. When Phoenix (brother to Joaquin) appeared in Spielberg’s third entry in the Indiana Jones franchise, his casting was noteworthy. In 1989, the kid had juice thanks to head-turning roles in films like Explorers, Stand By Me, The Mosquito Coast, and Running on Empty. Phoenix was like a 20-year-old Marlon Brando. Before Drew Barrymore got involved, Wes Craven was thinking about dropping out of Scream, and the cast was going to be another batch of unknowns. Then, Barrymore read the script, loved it, and asked to be cast in the movie. She was given the lead, which invigorated Craven, who was excited at the thought of directing talent with star power. Barrymore’s interest also helped attract higher quality talent than is typically drawn to slasher scripts. Alas, Barrymore got caught in a contract commitment and couldn’t star in the film. She still wanted to be involved, though, so asked for the role of Casey Becker, one of the movie’s first two victims. Of course, she was still mentioned frequently in the promotion materials and she appeared prominently in the film’s trailer. As a result, when she’s gutted in the first 13 minutes (after a tightly written game of cat-and-mouse), it’s truly shocking in the best way possible. In one of Samuel L. Jackson’s earliest roles, he appeared very briefly opposite Al Pacino in Sea of Love. 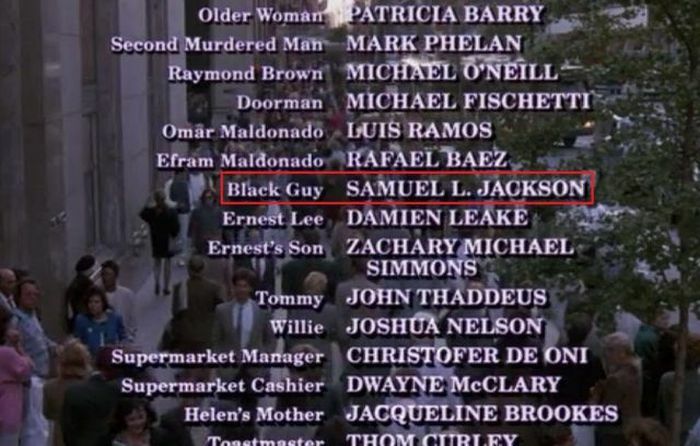 There’s even less screen time than his Coming to America “cameo.” That said, Jackson’s role has since gained the movie a cult following because of his character's name: Black Guy. The opening chapter of Jeff Schaffer’s Euro Trip is a deluge of brutal jokes taken at the expense of the film’s main character. The best joke of all is delivered in a surprise appearance from Matt Damon. After getting dumped, Scott Thomas (Scott Mechlowicz) goes to a high school graduation party to discover not only was his ex cheating on him, but the other man is a punk singer named Donny (Matt Damon) who channels his rage in a song called “Scotty Doesn’t Know," which Scott has to sit through. The rest of the movie is mediocre, but for the brief moments a fully committed Damon croons “Scotty doesn't know that Fiona / And me do it in my van every Sunday” while the Fiona in question grinds against him is something special.